Looking to the future in terms of your child’s eating requires a trust in the larger process at work, that as your child develops and grows, you are setting the stage for a healthy eater. Trusting in the process and letting go are certainly easier said than done. When we’re knee deep in battling at the table or frustrated over the lack of variety our child eats, it’s a challenge to think ahead. 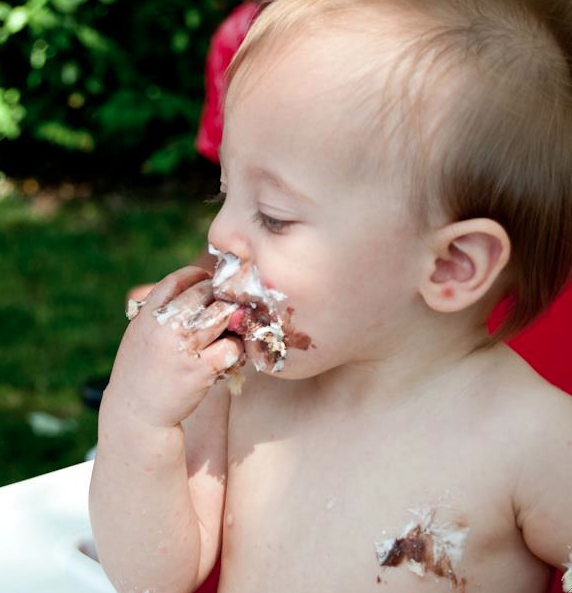 But it also keeps the momentum going to know that how your child eats when they are older is the ultimate goal. Raising a great eater requires thinking long term about their future ability to feed themselves well, as teens and into adulthood. Relax and enjoy this time feeding children and establishing healthful, balanced habits. Review all five keys to help focus you on priority areas and trust your child in eating. Seek out other parents for support. Find resources to strengthen your knowledge about nutrition. And of course, enjoy one another’s company at the table. – What resources do I need to support me in this feeding journey? – Would it help to talk with other parents about their feeding styles? – What goals do I have for my child as an older teen and adult in terms of eating well? We hope you’ve enjoyed this series! What are your suggestions for seeing the big picture when it comes to raising healthy eaters? "The Division of Responsibility in Feeding"